 4100 fire rated electric strike -- heavy duty keeper is the one box solution for mortise and cylindrical locksets. 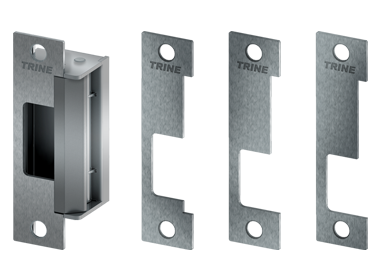 Covers 90%+ of Cylindrical & Mortise Lock configurations (without deadbolt), plus faceplates can be kept & used to help accomodate for door sag. >>> Mortise Lock with a Deadbolt? The included CCTS covers the gap when retrofitting the HES® 1006, Folger Adams® 712/732, and Von Duprin® 6200 Series or even Trine EN Series strikes. No more ugly trim skirts. The CCTS always matches the faceplate finish.